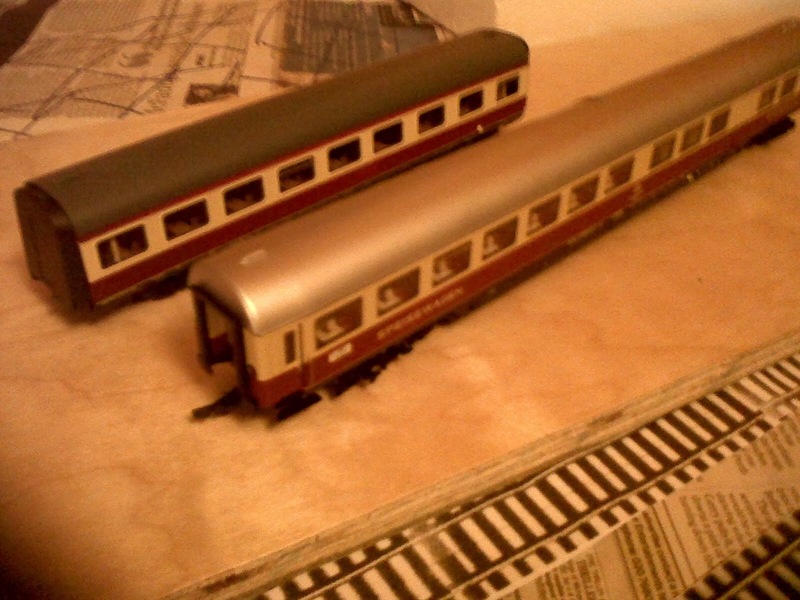 French Model Railway: Two versions of the Trans Europe Express - that confused me. 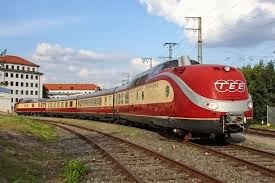 Two versions of the Trans Europe Express - that confused me. Having spent a couple of hours searching websites related to the Trans Europe Express - the real thing and HO models of it, I've concluded that the TEE operated over a sufficient number of years that its rolling stock changed over the period. 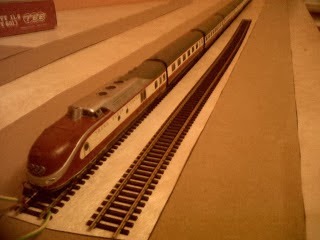 The carriages that arrived today are probably a decade more modern than the ones I already have. Here are trains from the two eras for comparison. My model is based on this earlier version. But during the 1970s, this version of the TEE came into use. You can see clearly that the two sets of carriages are not inter-changeable. There is no way one could make a full train out of an amalgam of the two sets - it would be preposterous. 1) Sell some or all of the TEE models on eBay - what a hassle! 2) Try to return some or all of them to the dealers in France - what a hassle for me and for them! 3) Order the correct additional rolling stock - more expense - and hope to defray the cost through pursuing either 1) or 2) above. 4) Keep all the existing stuff and create two separate TEE trains - a decade apart, so to speak. 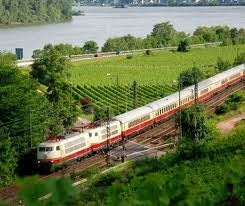 This would involve buying a new locomotive (see picture below). More expense and no defraying!! Not keen on number 4) because the newer TEE seemed to ply its way among the Benelux countries, Switzerland and Germany - France didn't seem to be involved. 5) Pack all the TEE stuff away and put the whole sorry affair on the back-burner. This course of action has the advantage of being consistent with the way I normally lead my life. Will certainly proceed with 5).